Move over quinoa, there’s a ‘new’ ‘grain’ in town. Well, actually it’s not new, and quinoa is not a grain. But you know what I mean. Of course I’m talking about freekeh. And just to confuse us further freekeh is not a grain, but a process. Actually it sounds to me more like a dance from the 70s, but never mind. 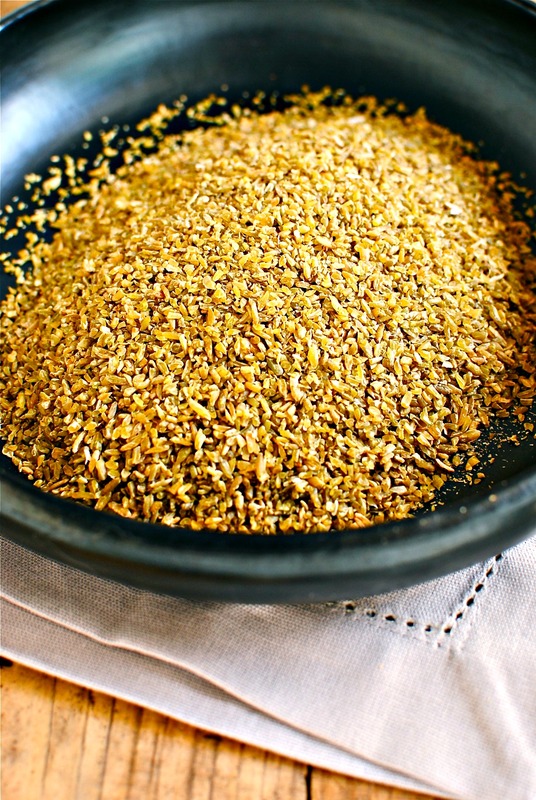 Freekeh comes from the Arabic verb “to rub,” and applies to young, green wheat. It is grown extensively in Levantine Basin countries where its first recorded use was in 2300 BC (read the history here). Nutritionally it is probably most comparable to quinoa although, because it is wheat, it is not suitable for those who can’t tolerate gluten. Interestingly there are studies investigating whether the immaturity of the protein locked in the grain, as well as the burning itself, may lessen the gluten. In the Middle East and North Africa it is used extensively in pilafs, as a stuffing for vegetables, underneath roasted meats, as a substitution for rice and couscous, in tabbouleh and as a kind of porridge. I have only recently been playing around with freekeh but I’m already thinking about getting more. And that’s the thing, it doesn’t seem to be easily available in UK shops, although it is available at Real Foods (2 Edinburgh shops and an online shop). Doubtless this will change, but please don’t go hunting the aisles at Sainsburys or Tesco looking for it. It ain’t there. I’ve fired off pleading letters to the supermarkets to get it stocked. It’s that good. UPDATE: as of summer 2014, most large supermarkets in the UK have freekeh! Yay! 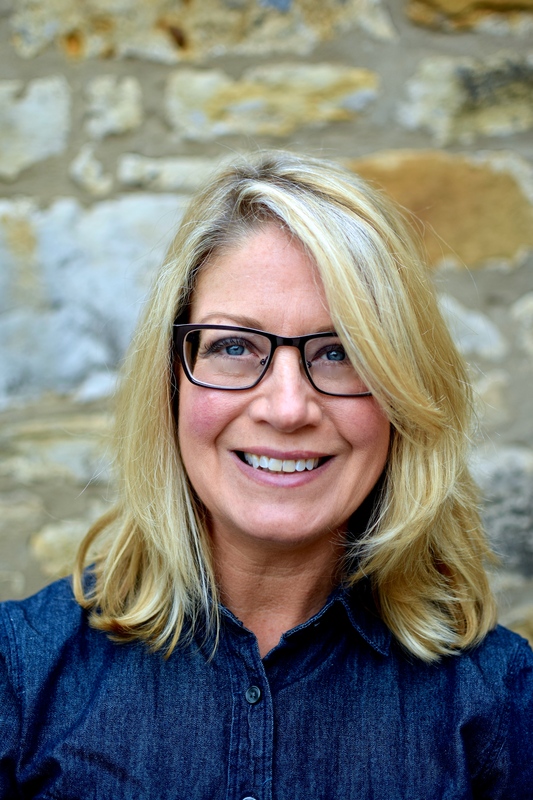 Anyhoo, after putting you through a massively self-indulgent, prosey post last week, I will do the blogging equivalent of shutting my gob and just let you at the recipe. If you can’t get hold of freekeh please try this with bulgur wheat or quinoa (toast lightly first if you can), or one of the whole-grain mixes available at most supermarkets. Just cook them as the packet directs, perhaps shaving off a a few minutes to keep some texture. I always find packet directions give me mushy grains – yuck. Any freekeh freaks out there? How do you like to cook yours? Last year: Apple and Oat Bars – we love these! This recipe is inspired by the grain salads found in The Lebanese Kitchen by Salma Hage. 1. Heat the oil over a medium flame in a saucepan; add the onion and a good three-finger pinch of salt. Cook, stirring occasionally, until the onion smells sweet, not raw. 2. To the pan add the spice mix; stir around for a few seconds then add the freekeh and 350ml (1 and ¾ cups) water. Bring to the boil then cover and simmer gently for 10 minutes, or until the water is mostly absorbed and the freekeh is tender but still ‘to the bite.’ Turn off the heat and let the freekeh steam under a lid while you get on with the figs. 3. Heat a griddle pan over a medium flame and lay on the fig slices. Cook for 2 minutes on one side and one minute on the other. If your pan is quite old perhaps rub the ridge with oil beforehand. Carefully lift off the cooked figs and set aside. 4. Fluff the freekeh with a fork then stir in the dried mint, sour cherries, fresh mint and parsley. Fork through most of the cheese. Taste for seasoning, perhaps adding more salt and some pepper. 5. Divide the salad between two bowls and top with the remaining cheese, toasted sesame seeds and the fig slices. Drizzle with oil if you like. Serve with a lemon wedge and a handful of bitter or sour leaves. I do like freekeh, very easy to cook: I use like risotto rice, chucking in a handful for about 15 mins. I buy it from local Asian stores. That’s a great tip about visiting Asian stores. Probably a good price, too. Thanks! Thanks Deena, but ripe black figs are such a gift to work with (or eat greedily out of hand) that they are at home pretty much anywhere, I think. Glad you like it. I hope you make some Deena version of it! I wonder if your stone fruits are coming through yet as peaches would be divine, Fran. I like the combo of sweet fruit and tart dried berries so hopefully some combo or other will suit your upcoming summer season. You lucky thing you! And glad you approve of Miss R’s choice of tracks. She’s so on it with the music! PS You don’t want to see me in a kaftan, that’s for sure! I want to make this, it looks delish, and so pretty! Those figs are gorgeous! I’m not sure whether I’ve seen freekeh around Stockholm or not, but after hearing you sing it’s praises I think it warrants an investigation. I may just have to try it with another grain in the mean time, or just cram some of those figs into my mouth straight up. Yum! Do both! Seriously, I bet you can find freekeh in a shop that specialises in Middle Eastern and North African foods. Worth seeking out. IF you have difficulty I will send you a ‘teaser’ box x PS still loving my swedish socks!! Oh yeah! Middle Eastern foods are actually quite easy to come by here. It may be staring me in the face and I just haven’t opened my eyes. I’ll take a better look! An outstanding salad! Bursting with flavor and nutrition and those oh-so-luscious figs! I am very fond of whole grain salads as they are are wonderful background for everything seasonal! They are indeed. Grains and quinoa are great all-weather choices for salads – just add seasonal produce! LOVE it. Great recipe, fabulous photos. Kellie, I haven’t seen freekeh for years, since it made its debut in the 90s…. love the title of your post. 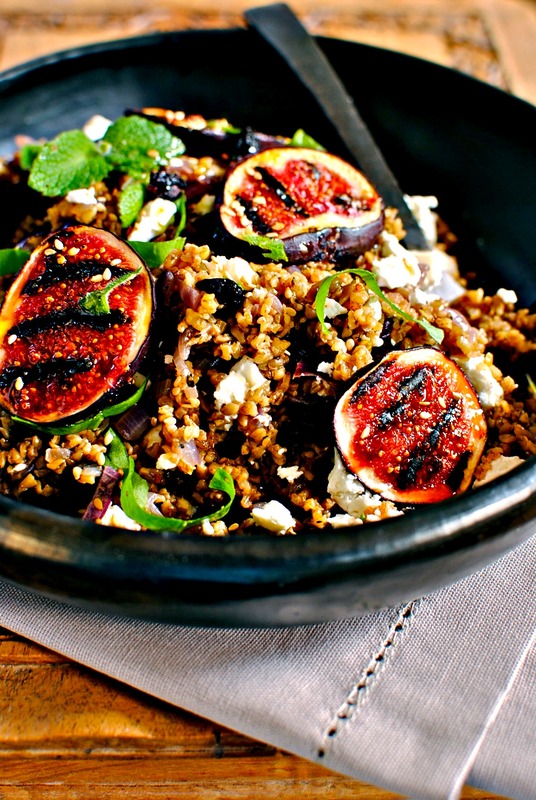 The salad sounds amazing, and the figs… mmmmmm. Love the photos too! It’s amazing, I could spend hours in there! 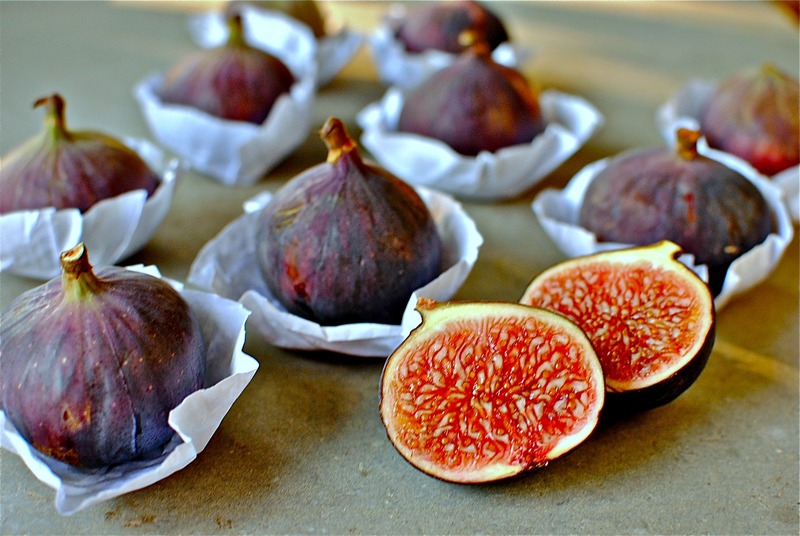 Kellie I love the title of this post 🙂 it looks and sounds amazing, but then I have an incredible soft spot for fresh figs and would happily eat them with anything! I wonder if a handful of brambles would work in this? Looks fabulous. 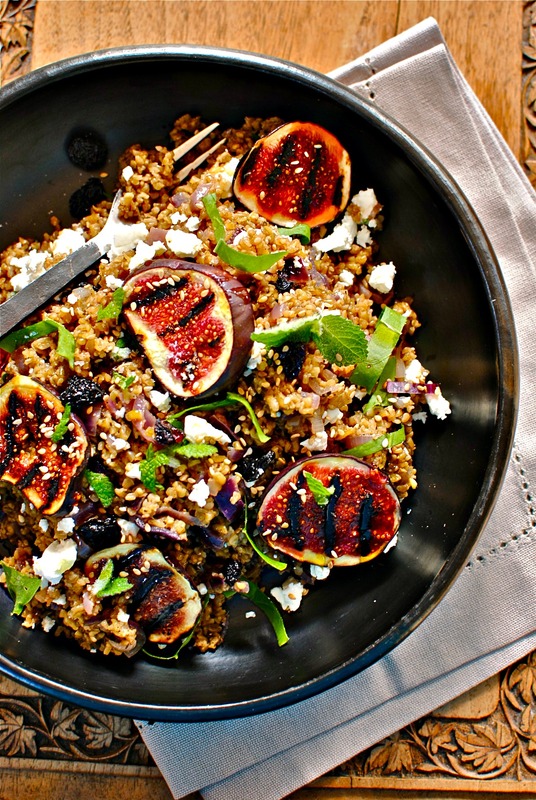 Like you I mainly eat figs as they come but this sounds lovely and I have not tried freekeh so will have to give it a go! That Freekah preparation does look interesting. It really is intrinsic to the Arabic culture but you know what? In more than two decades of living in the Gulf, I have come across it just a couple of times.What could one ascribe that to? Over-familiarity? I think sometimes we don’t always appreciate what we have right under our noses. Or fields! We all like what seems new and exotic, don’t we? I wonder if it is still popular in traditional homes? Hi Laura, you can order some through Real Foods (in a link – not sponsored, I just like them!) or through others on the internet. You would love it and so would your children, if they already like grainy things. Gotta love griddled fruit! Yum, Kellie! This looks incredible. I just might have to try it tonight! Best dish out there and guess what! It’s not even fattening! This sounds so good, you even made the figs look good and Im not a fig fan! I have yet to try Freekah, I know Ottolenghi sells it, but Im glad to see in your comments that local Asian stores may have it. It will be my next mission to find some! I just discovered freekeh, and I am loving it! So far, I have tried it as a replacement for rice in jambalaya, and as a salad. Your salad looks absolutely beautiful – I would love to try your recipe! Wow I love figs! This looks amazing! Good news! Marks & Spencer’s have now started stocking Freekeh! Hi Peggy. Good question. Add a tiny bit of oil to a hot pan and just sear them to caramelise. Or perhaps roast them in the oven until just softened. Farīk (ﻔﺭﻴﻚ), the classical Arabic spelling, but known in colloquial Arabic from Syria to Algeria as fireek, freekeh, freeky, or freek is an immature hard wheat (durum wheat or semolina, Triticum turgidum var. durum) that goes through a roasting process in its production. Finally, the origin of Freekeh and big salad is Palestinian!